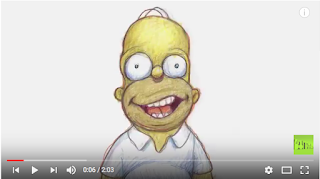 Usually, I like to use this forum to tell people about upcoming events - however this time I'm using the blog to talk about last night's premiere of my latest "Couch Gag" for "The Simpsons, with animation of Homer Simpson singing the song from my Oscar-nominated film "Your Face". 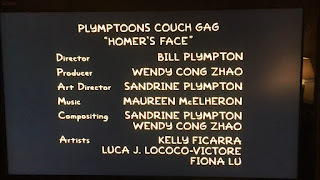 Unfortunately, my new couch gag got bumped from its original premiere date of March 18, and we had just finished announcing the on Facebook, Twitter and Instagram when we found out the airdate was being changed. There was some kind of schedule snafu, I guess, or maybe it had something to do with that O.J. Simpson confession special. Anyway, we had to go back on all the social media platforms and announce the programming change. I've always felt that the most interesting characters in a film are the "heavies" - Hans Gruber, Wile. E. Coyote, Cruella de Ville are just a few examples. These are the fun characters. I don't like the "goodie" heroes that save the day, I want to see imperfect, flawed, venal anti-heroes that ruin the day. That's why I love film noir, where everyone is evil. The more evil characters, the more noir, the better. 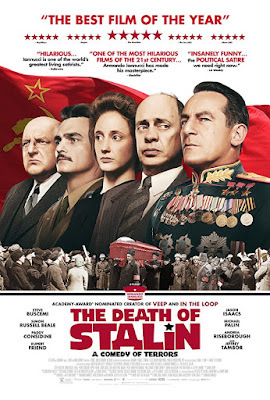 And that's why I was excited to see Armando Ianucci's new film, "The Death of Stalin". I had seen one of his earlier films, "In the Loop", a rollicking political satire, which I truly loved. So I was anxious to see how he managed to make a comedy out of the death of Stalin, one of Russia's cruelest dictators. The cinema was packed and people laughed uproariously. The picture stars Steve Buscemi, Jeffrey Tambor and Paddy Considine, and was advertised as "A Comedy of Terrors". It is truly a dark comedy. In fact, I have an idea for a parody of dictators that I've been working on for years - so that's why I really wanted to see what Mr. Ianucci created. In my mind, it's the funniest comedy of the year - and in a not so subtle way, it's a brilliant reflection of our current administration here in the U.S. Please tell all your friends to go see it at once, especially if you like black humor. Another reason I wanted to see it is because a couple years ago I created "Hitler's Folly", a mockumentary that imagined what if Hitler had not only gotten into art school, but also went further and decided to become an animator. But fortunately, you can compare the two films, this comedy about Stalin and my comedy about Hitler. My film "Hitler's Folly" is available on-line for FREE. I can't charge any money because there's some copyrighted material in it that I wasn't able to clear. But please check it out on my web-site at www.plymptoons.com and if you like it, a donation would be appreciated. By the way, I give "The Death of Stalin" an A+. Also, if you're around NYC on April 7 and 8, I'll be at the great annual MoCCA Arts Festival, sponsored by the Society of Illustrators. This is a fantastic opportunity for everyone to see the best independent writers and cartoonists from all over. You'll see amazing new styles and humor from the graphic novel stars of tomorrow and I'll be there at Table C136. The MoCCA Arts Fest takes place at the Metropolitan West Pavilion, 639 West 46th St., right by the Intrepid Museum (the one that looks like a big aircraft carrier - you can't miss it!) Bring your friends, and I'll see you there! 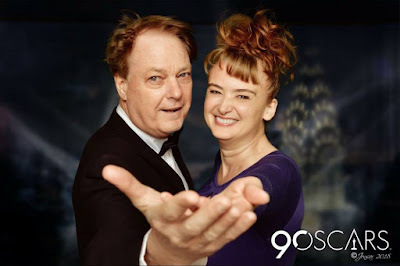 Oscars 2018 / "Mind Game"
As most of you movie fans did last night, I watched the Oscars telecast - and here are some of my observations. Jimmy Kimmel did a super job as M.C. - he was low-key, relaxed and very funny - I loved the bit where he too some celebrity actors across the street to a screening of "A Wrinkle in Time", and of course, the audience went nuts. The only problem is, if they were such great cinema fans, why weren't they watching the Oscars? I also loved his jet-ski prize for the shortest speech, it was hilarious. If I were a winner, I certainly would have given a very short speech - I love jet-skis! I was hoping that Frances McDormand would win for "Three Billboards...", she totally deserved it. And I was amazed by her specch and shout-out to other female nominees - however, why couldn't she get a decent gown for the event? Also I totally agree with Sam Rockwell's win for Best Supporting Actor for "Three Billboards" and Allison Janney's win for "I, Tonya". I thought "I, Tonya" and "Good Time" (starring Robert Pattinson) should have received much more attention. But of course, they were comedies and you know how the Academy prefers serious, issue-oriented films. Regarding "The Shape of Water", it was my second favorite film, after the great "Three Billboards", and I love Guillermo del Toro (he should have directed "Ferdinand", the bull - get it?) and I'm very happy that he won Best Director, and that "The Shape of Water" won Best Picture. It's a great "genre" film. As for the animation categories, "Coco" was a shoo-in, there was no real competition. But I was surprised about "Dear Basketball" - I believed that either "Lou" from Pixar (which I was not crazy about) or "Nursery Rhymes" would take home the Oscar. Plus, "Dear Basketball" was hand-drawn, not a technique that the Academy tends to favor. Even though Glen Keane is a master and a legend of animation, I believe "Dear Basketball" could have been done better. 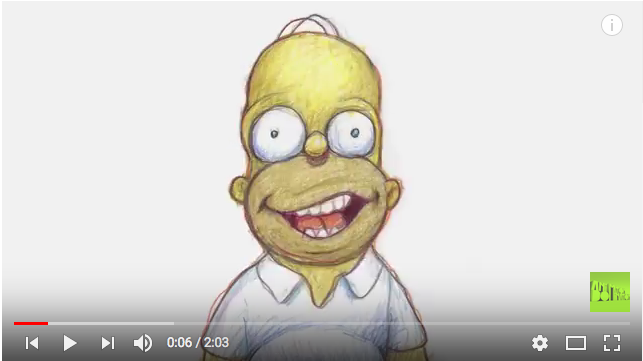 Glen used rotoscoping, which I don't mind, except that the result was so realistic that it missed the whole exaggeration and stylization available for animation. If I had done it, the drawings would have been a lot more distorted and bent - it could have been so cool. Yet the combination of NBA All-Star Kobe Bryant and Disney All-Star Glen Keane was too powerful to lose. On another note, the great animated feature "Mind Game", directed by Masaaki Yuasa and Koji Morimoto, is being released for the first time in the U.S. by GKids. Please run, don't walk, to a theater near you to see this brilliant film. 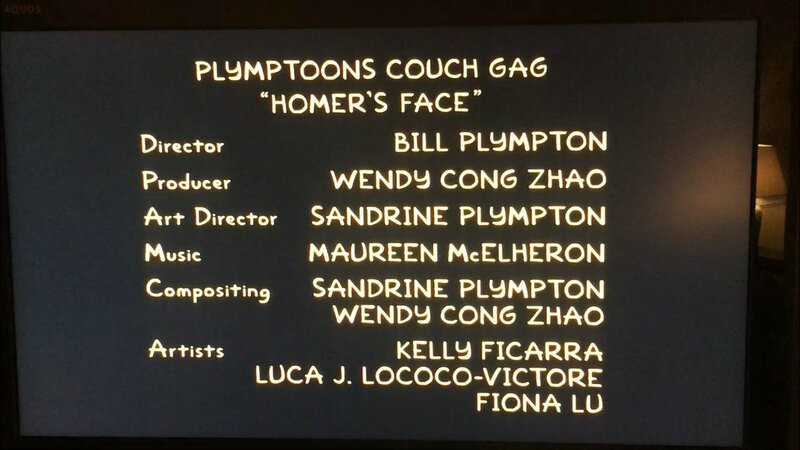 In my opinion, it's the "Citizen Kane" of animation - you can thank me later.